Today, in the Acts of the Holy Apostles, we heard how the disciples and followers of Christ were first called Christians in Antioch. Today’s Gospel reading presents us with the following question: What does it mean to be a Christian? And what, in fact, is Christianity? 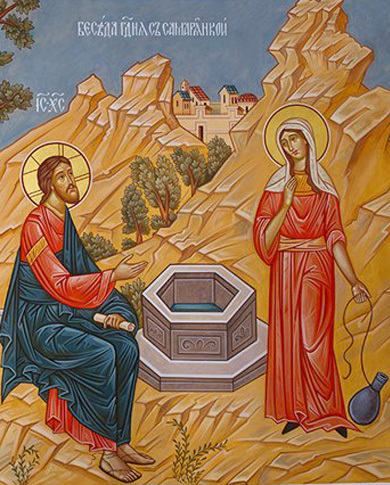 Christ converses with the Samaritan woman, who had come to the well to draw water, speaking with her about what is most important. This woman lives among a people that is alien to the true tradition of worship of God, which is in a kind of heresy and, in its false conviction, hates everyone that does not adhere to this heresy. In response, those who confess the true faith hate those who live in a different confession of faith. The Jews have no dealings with the Samaritans. Then suddenly this wall collapses, because Jesus Christ – a true Jew, a Jew among Jews – suddenly begins to speak with this woman living in sin about what is most important. And suddenly this most important thing comes into view so vividly that all the contradictions and disagreements clearly become absolutely worthless. Christ speaks about how God should be worshipped. They who truly worship God are theywho worship Him in Spirit and Truth. He speaks words that spell out the whole essence of faith, words that make someone searching for truth discard everything piddling and second-hand and begin to look for what is most real: the source of living water leading to everlasting life. 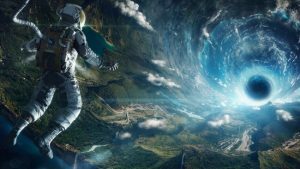 This personwill suddenly understand that he has finally found the most important thing in life, that his thirst can now be quenched. He can fully sate himself, because the fullness has arrived, and he cannot go wrong in this fullness. He suddenly stops thirsting, and becomes such a source himself. It turns out that this question – “How should we worship God, and what does it mean to worship Him in Spirit and Truth?” – is the most importantone for each of us. It reveals the essence of our life and our faith. What is Christianity? What is its essence? What is the essence of our worship of God? For centuries people have argued until they were blue in the face, to the point of laying hands on one another: “Should we cross ourselves with two fingers, or with three? Should we cross ourselves from right to left, or the other way around? Should we serve on the New or Old Calendar? Should our services be in Russian or in Church Slavonic?” All of these questions result in grandiose arguments that have absolutely nothing to do with the worship of God. They have nothing to do with either Spirit or Truth, but only with certain external matters that divide people on the basis of friend-or-foe, true-or-false… Where is there room for Christ here? Where is there room for the worship of God here? 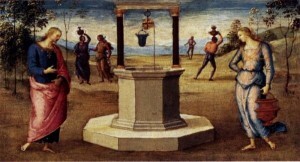 Where is there room here for the Spirit and Truth – like the source of living water – to fill, enliven, and change man? Once a priest who is a friend of mine told me a story about just such a Samaritan woman who had come to him desiring to be baptized, who was searching for what it means to worship God in Spirit and Truth. She came with a ruined life, with no husband, with no knowledge of God, from an entirely different people. She began to prepare for baptism by reading a great deal. 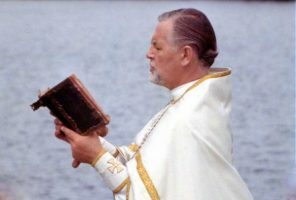 One day she came to the priest in horror, showed him a stack of books about Christianity and the Gospel, and asked: “Batiushka, I don’t understand a thing! Which is more important: these books or the Gospel?” The priest said that, of course, the Gospel was more important. She listened and said in reply: “ThankGod!” And then she was baptized. If we want to find this in ourselves, then let us seek Him, let us strive towards Him, let us seek the source of everlasting life in the Gospel, let us worship Him in Spirit and Truth, because we want to be like Him, we want to emulate Him, we want to follow Him, we want to hear His will, we want to hear His truth, and we want to live with this truth and not be parted with it. Then everything will fall into place. Then we will feel that the fullness has finally arrived. Very often our life in the Church consists not so much of following Christ, but of walking around incircles in church: from fast to fast, from Confession to Confession, from Communion to Communion… We are walking in circles and nothing is happening to us! Because we are walking in circles, not following Christ. Let us go out to meet Christ where He is leading us, and then we will hear words about how to worship God properly, about how to worship Him in Spirit and Truth. Amen. 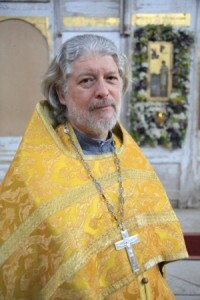 Delivered in the Church of the Life-Giving Trinityin Khokhly (Moscow), 2011.